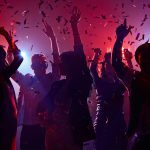 With the fall season nearly upon us, it’s time to look ahead to all the holiday parties coming up – arguably one of the biggest event seasons of the year. The first place to start is to look at your ticketing system. Most ticketing systems only allow you to manage ticketing transactions, and quite basic transactions at that. With this system, you don’t get a deep look at an individual’s trends beyond going through your door upon arrival. You don’t get to set up a system to incentivize pre-sales. You don’t get in-depth analytics to truly understand how your event performed or who your guests were. It’s simply a system where consumers buy a ticket to your event, and that’s it. Here’s how you can take control of your event start selling better tickets. It’s common to have more than one ticketing option for your event, from single tickets to packages to guest lists and even reservations. That’s why it’s important to use a system that can not only sell all of these ticketing options, but also integrate all of that information into one system for you to manage. Using this type of solution allows you to run your door better the night of your event and strategize your lines based of which type of ticket your customer purchased. Selling tickets doesn’t have to end with posting your event online and getting people to go to your ticketing site. Turn your sales and promotions team into a mobile box office. The best ticketing solutions, like Vēmos, provides you with a mobile application that allows you to sell tickets directly through this device, while syncing that information with the rest of the online ticketing purchases. Using a combination of online, mobile, and in-person sales is what drives traffic and revenue to help you pay for your event before it even happens. Most ticketing sites collect your customers’ payments in their own banks and hold it until after the event is over. Instead, look to companies that ensure payment goes directly through your merchant services provider and into your bank account right from the get-go. 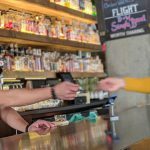 That way, a guest purchasing a ticket to your event is the same process as that guest buying a drink inside your venue. There’s no point in collecting pre-sales to help pay for your event if you’re not going to get your money from those sales until weeks after the event is over. Wouldn’t it be great to capture complete, personalized data from all your guests and transactions? With the right ticketing vendor, you can. Just stay away from the majority of ticketing companies that fail to give venues access to their own data. Getting access to your data gives you the opportunity to truly understand how your venue and events are performing as well as providing you with detailed information on who your guests are. Make sure the ticketing company you work with not only gives you access to your data, but also provides it to you in one central spot. This helps you to easily see data about individual guests, sales, and staff members to truly identify areas of strength and weakness. Once you know how well you did, you’re able to better set yourself up for success for your next event. Create and manage an online event page, or be provided with a white labeled widget that gets embedded in your website. This widget ensures your customers never have to leave your site to go to a third-party ticketing vendor. Sell tickets to consumers right through this page via an e-commerce system. Integrate the event with a mobile app for promotes to sell tickets directly from their devices, turning you into a mobile box office. Track ticket sales and results along the way. 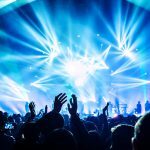 This type of platform syncs all promoter and marketing efforts together to maximize ticket sales before the night of your event, and allows you prosper in marketing efforts for future events to come. And that’s what’s going to set your venue and your event up for bigger success. To learn more about Vēmos events and ticketing or to get started, contact Whitney Larson at whitney.larson@vemos.io or fill out the form below.